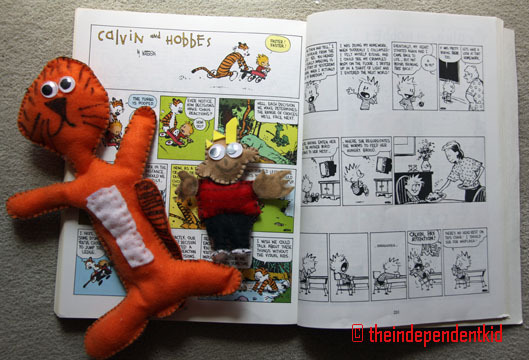 Posted on June 22, 2013 by BW	• This entry was posted in Arts and Crafts, DIY and tagged Calvin and Hobbes. Bookmark the permalink. I love it! The toys looks very much like Calvin and Hobbs. Hey Dwayne! Thank you for telling me it looks very much like Calvin and Hobbes. FYI, Hobbes is spelled HOBBES. Thank you for stopping by Dwayne!